Lightweight tents for more than one person are still quite unusual. That's why I'm really happy that Six Moon Designs have just started the production of the Cuben Fiber version of their Haven tarp. I think it's on top of my wishlist. Green Cuben fiber is cool. But I wonder how transparent it is. Haven is a shaped tarp designed to be matched with the Haven net-tent to form a double-walled two person tent. If you don't count the pegs and poles the combined weight is below 700 g (you know the maths: add the weight of your preferred pegs and poles). This combo is a good start for "3 for 3". 350 g per person is good for any shelter and quite remarkable for a double walled tent with two vestibules and room for tall people. 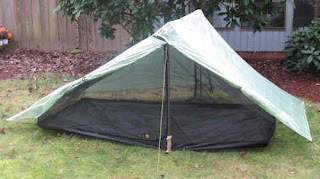 The floor length is the same as in Six Moon Designs Lunar Duo, which is one of the few tents that house my 193 cm body and size 48 feet with no risk of wall touching. Click to see the measurements. But Haven is not a very wide tent. With 120 centimeters of floor width, it's narrower than many other two person tents - 15 centimeters narrower than Lunar Duo for example. The lack of width is somewhat compensated by the vertical sidewalls, good headroom and the two vestibules, but I personally could have taken the added weight of another 10 cm. Or even better: the reduced weight-to-inhabitant-ratio of 50 added centimeters! Another downside is of course the price. 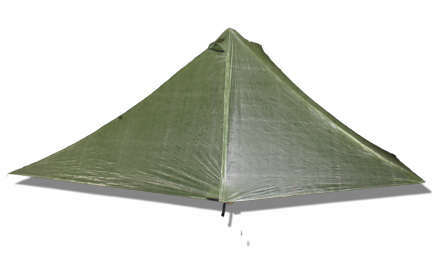 Cuben is expensive, and the whole tarp/nettent combo costs 550 dollars (440 Euro or 4000 kr). Add money for pegs and poles if you don't already have that. But it's still a lot cheaper than anything comparable from Hilleberg, if that's any comfort. 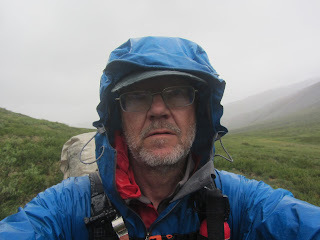 Is there anything comparable from Hilleberg, except maybe the Raid? Otherwise your comparing apples to oranges. For many people I know Hilleberg is the brand that every other tent is benchmarked against, so I took them as an example. My point is that every one can compare Haven against for example Nallo and Anjan and see what they gain or lose. The SMD cuben Haven Tarp and Inner Net Tent have been a great shelter for my wife and I. 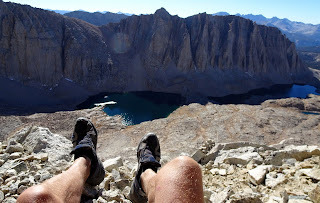 We weathered an extreme thunderstorm above treeline at an exposed site above 11,500 feet last August in the High Sierra. We stayed dry, warm and cozy all night. That's great to hear. I almost regret I didn't buy one, since they have had to "adjust" the prices for their new batch of Cuben products. So it seems this is really a combo worth looking at even for use above tree-line?